Wallace Weitz is the founder and president of Wallace R. Weitz & Company. When Weitz was 12, he invested profits from several entrepreneurial ventures. He became a value investor after reading Benjamin Graham’s Security Analysis in high school. Prior to founding his own investment firm, Weitz has spent ten years working as an analyst and portfolio manager at Chiles Heider & Co. In 1983, he launched Wallace R. Weitz & Company, which today has approximately $4 billion AUM. Weitz currently manages Partners III Opportunity Fund and co-manages Value Fund, Partners Value Fund, and Hickory Fund of his company. Under his management, Partners III Opportunity returned an average of 13.1% annually since inception in 1983, versus 7.61% for the S&P 500 index. Recently Weitz released the latest holdings of his company in a 13F filing. Let’s take a closer look at the most bullish bets of Weitz and decide whether we should also add these positions to our own portfolios. 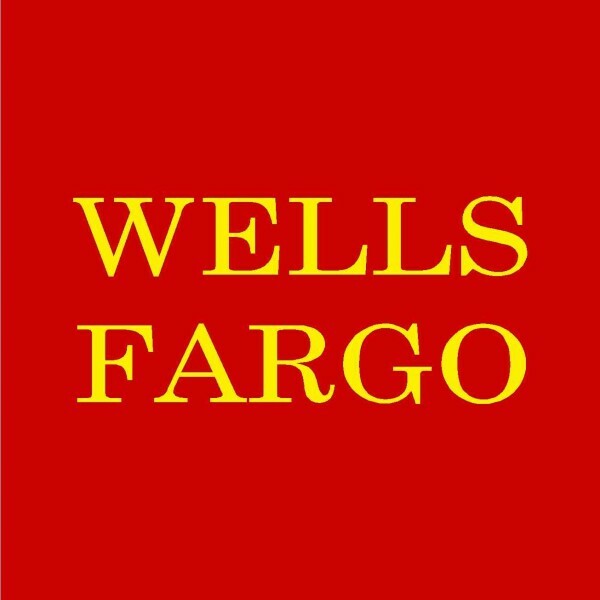 Wells Fargo & Co (WFC): WFC is the largest position in Weitz’s latest 13F portfolio. As of December 31, 2011, Weitz had $104 million invested in this stock. WFC is also quite popular among hedge funds tracked by us. At the end of last year, there were 68 hedge funds with WFC positions in their 13F portfolios. It is obvious that Weitz is imitating Warren Buffett with this stock pick. Buffett had more than $10 billion invested in WFC at the end of December (see Warren Buffett’s recent purchases). Ric Dillon, Lee Ainslie, Bill Miller, and John Paulson were also bullish about WFC. Financial stocks did not perform very well over the past few years because of the tough financial environment. Although some of the financial companies, such as WFC, has already started to recover and generated decent earnings, most investors are still not very willing to invest in them as they are afraid of another crisis. That’s why a certain number of financial companies are trading at low multiples. WFC’s current P/E ratio is 11.09, relatively low compared with the market but at the same level to the industry average of 11.90. In 2012, WFC is expected to make $3.18 per share, which means that its forward P/E ratio is below 10. It is expected to earn $3.61 per share in 2013 and its earnings are expected to grow at over 10% per year over the long term. During the 2012 Credit Suisse Financial Services Forum, WFC’s CFO Tim Sloan presented the benefits of WFC’s diversified business model, ability to control expenses and improved capital positioning. We agree with Sloan that the diversification, the improving capital ratios, and the company’s focus on cost reduction will reduce the risks WFC is exposed to. However, we think Citigroup Inc (C) is a slightly better bet. Citigroup’s current P/E ratio is 9.5 and its forward P/E ratio is 8.3. We like Citigroup’s international presence which we think will boost earnings significantly over the long-term. Aon Corp (AON): AON is the second largest position in Weitz’s latest 13F portfolio. Weitz had nearly $100 million invested in this position at the end of last year. Besides Weitz, there were 31 other hedge funds reported to own AON in their 13F portfolios at the end of 2011. AON is a top pick for Eagle Capital Management too. Boykin Curry’s Eagle Capital Management had over $500 million invested in AON at the end of last year. Larry Robins’ Glenview Capital also invested more than $100 million in this stock. In October 2010, AON acquired Hewitt Associates Inc, one of the leading human resource consulting and outsourcing companies in the world. As a result, the company’s total revenues increased by nearly 33% last year. Its net income was also up by almost 40% and its EPS was up by 16% over the past year. Over the next couple of years, AON’s earnings are expected to grow at over 8% per year. It seems that the company’s strong growth is reflected in its stock price. In 2012, AON is expected to earn $3.53 per share, so its forward P/E ratio is about 13.4, versus 11.15 for the average of its peers in the insurance industry. These numbers are a bit misleading though. AON made several acquisitions over the past few years and reported earnings are depressed because of goodwill amortization from acquisitions. Its actual free cash flow is around 25% higher than its reported earnings. That’s probably the reason why hedge funds piled into this stock. A few other large positions in Weitz’ portfolio include Liberty Media Corp (LINTA), Microsoft Corp (MSFT), Berkshire Hathaway Inc (BRK-B), Liberty Global Inc (LBTYK) and Google Inc (GOOG). Weitz had at least $80 million invested in each of these positions at the end of last year. Fans of Buffett may also be interested in BRK-B. It is an easy way to get exposure to Buffett’s investments by purchasing the stock of his company. We especially love Weitz’s bets on two tech giants MSFT and GOOG. GOOG’s forward P/E ratio is 17 and it is expected to grow at about 20% per year. MSFT’s forward P/E ratio is 12 and its earnings are expected to grow at 9% annually. We think these two stocks are much better options than utility stocks with lower growth and 13-14X multiples. Mega-cap technology stocks are trading at significant discounts at the moment and these stocks are excellent choices for value investors. Hedge Fund:29 Wallace Weitz Wallace R. Weitz & Co.